Sony launches new Ultra-fast charging support for devices with USB PD technology. All you need to know. 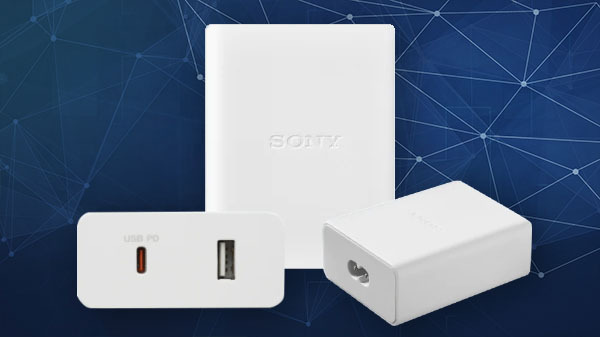 Sony launched its new USB PD Compatible charger with a model number CP-ADRM2. This charger comes with Ultra-fast charging support for devices with USB PD technology. You can charge your smartphone with Quick Charge 4/4+, tablets, portable consoles and also you can charge your notebook computers with powerful USB PD output. The USB Type-C port sports up to 39W (5V/3.0A, 9V/3.0A, 12V/3.0A, 15V/2.6A) charge to compatible devices by safely increasing the voltage to the USB-C port. The USB-A port delivers 7.5W (5V/1.5A) to a second device. It measures 65.0 x 78.0 x 31.0mm and weighs 165g. It sports one USB-C and one USB-A port lets you charge two devices at the same time. It also sports Sony's Safe Charge technology. This charger comes with a heat resistant design, along with an intelligent Power Controller which is responsible for maintaining safe and reliable performance with repeated use. Although it has a plastic build, it comes with a matte finish which prevents it's from getting scratches. The company has not disclosed anything on the pricing of the charger. The company will start selling the device in Asian countries starting from China.